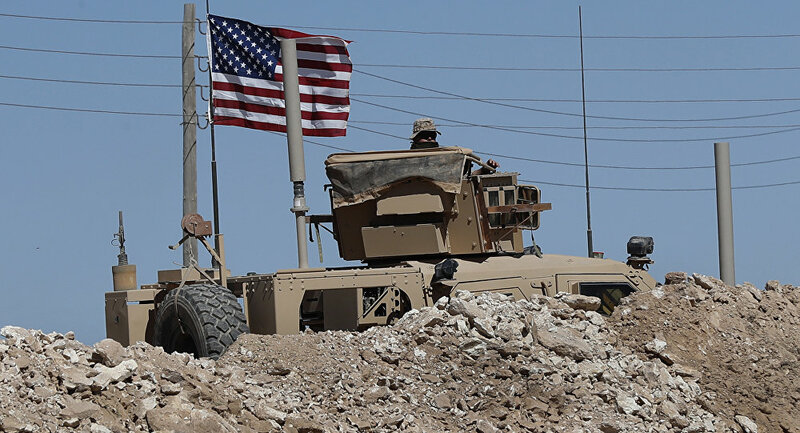 The US is setting up so-called “observation posts” along Syria’s border with Turkey. This controversial move was sharply criticized by Turkey, which sees it as further proof that the US is continuing to protect Syrian Kurdish groups that Ankara officially regards as terrorists. The argument can be made that the US is trying to deter Turkey’s threatened anti-terrorist intervention against the YPG by putting its own forces between these two possible combatants, wagering that President Erdogan doesn’t have the political will to risk the hefty consequences associated with his military potentially injuring or even killing American troops in the course of any forthcoming campaign there. Furthermore, the de-facto fortification of the incipient Kurdish quasi-state’s international frontier is aimed at establishing concrete political facts on the ground that could make the unofficial “internal partition” of Syria through the possible implementation of so-called “decentralization” clauses in its UNSC 2254-mandated reformed constitution a fait accompli, thus carving out a sphere of influence for the US and its allies. This isn’t all that far-fetched of an analysis either, seeing as how Trump just told the Washington Post that ensuring Israel’s security is one of the reasons why the US is still keeping troops in the Mideast. Likewise, Saudi Arabia recently committed $100 million to rebuilding the US-occupied but Kurdish-controlled northeastern one-third of Syria, and a GCC delegation just visited the region shortly after unconfirmed reports about the dispatch of their military forces there. Prof. Dr. Mahir Nakip of Turkey’s Çankaya University explained to the popular Yeni Şafak daily that the GCC wants “to support the project that plots to strike Turkey from Syria’s north”, alluding to fears that Ankara’s foes could exploit the YPG’s predominant role in this part of Syria to indirectly aid and abet PKK terrorist attacks inside of Turkey itself. It’s not just the GCC that Turkey has to worry about, however, since Israel has recently reemerged as one of the country’s main rivals too, as noted by geopolitical analyst Adam Garrie in his early-November analysis about how “The Israeli Led Anti-Turkish Alliance in The Eastern Mediterranean is Now Official”. Israel, the GCC, and the US all share common strategic interests in the Kurdish-controlled regions of northeastern Syria vis-à-vis Turkey, so Ankara has every reason to suspect that they might be jointly plotting against it from that part of its neighboring country. Enhanced border security measures could greatly mitigate the asymmetrical threats that might emanate from that region, but Turkey might still be greatly disturbed by the US and its allies’ effort to establish a Kurdish quasi-state, especially since their support for this geopolitical project might take conventional military dimensions such as training a so-called “national army” and even building an “air force”. Serious concerns about this long-term strategic scenario might therefore help explain Turkey’s reorientation away from the West and towards the emerging Multipolar World Order, emphasizing just how pivotal this issue is for reshaping regional geopolitics.